So this new supercar from Aston Martin looks like a futuristic beast. I can wait to hear some of the car experts compare this to other supercars. They’ll have to get their hands on one of the 150 cars that will be unleashed on the roads of the world. Like any top 5 or best of list – greatest songs, Ashton Kutchers worst rom-com, most delightful hamburger combination – there is always, without a doubt, a hot debate over the dinner table which usually results in someone with a sausage and a spoonful of potato mash in the face. There is one debate that has been raging on for years and probably will for years to come: The top five stylish rides. We don’t care about the performance or the power, this is all about cars that are dripping in cool factor. Rides that make you want to don your finest suit and tie. Ones that make you want to roll down the windows are glare at the common folk. And in return they’d think, wow that guy is a douche. We are talking cars that, as Top Gears James May Esq would say, make you all a bit fizzy. So without further a-do here is our pick for the top five stylish rides. Can’t think of a better way to spend that $4 million you’ve got stashed in your secret underground garage? Yeah? Me either. Might as well spend it on that dream you’ve always had to own a 1964 Aston Martin DB5 – the quintessential ride for any would-be James Bond. Use your newly acquired suit and tie to re-create one of the most legendary images in cinematic history – Sean Connery resting on the side of the the bonnet; your smouldering gaze not giving away a single emotion. Of course, on the inside you’re absolutely giddy! Taking a stroll through the cobble-stoned alleyways just ain’t what it used to be. The young’uns have no respect for your good ol’ fashioned monocle and pipe. How uncouth! Show them how common they are with a 1932 Bugatti Royale. Those darn kids won’t be taking up your cobblestones anymore, this twenty one foot beast is big enough to force them off the roads. Ok, so we had to add a vehicle to this list that was actually attainable – to some degree (I don’t know your fiscal situation.) This bad boy is hot off the press, and by press I mean manufacturers line. 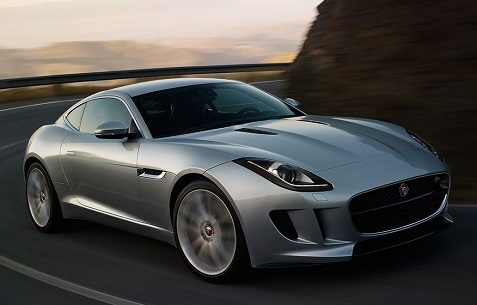 It asserts itself as the most dynamic model built by Jaguar. It’s set to be released for the showrooms early 2015, so you’ve got plenty of time to scrap together your pennies and put a deposit on Jaguars new bloodline, otherwise you can get your heart racing and test drive a Jaguar at any dealer. 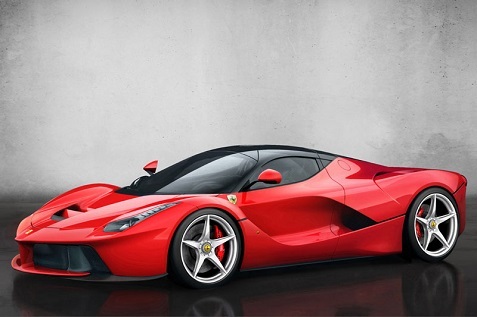 Ferrari La Ferrari may not get the award for most creative model name (Italian for The Ferrari) but what it lacks in name, it makes up for in sheer style. While we didn’t want to discuss power or performance, you can’t ever prepare yourself for feeling when you hit the defibrillator on this bad boy and boost yourself up to 950 horse power. Once again, I have to disappoint, Ferrari is only handing out these vehicles to the rich and elite. However, a casual scroll through Dubai Craiglist and you might pick yourself up a second hand one. Perfect for cruising around the cliffs in the countryside, the Mercedes 300SL Gullwing is by far the sexiest and most stylish coupe ever. If ever you wanted to make the ladies swoon, this is the car to do it in. So what if the brakes are poor, or the chassis is unstable. That doesn’t matter when you are driving the first car to ever receive gullwing doors. Did your favourite car make this list? Let us know what your dream car is in the comments below. 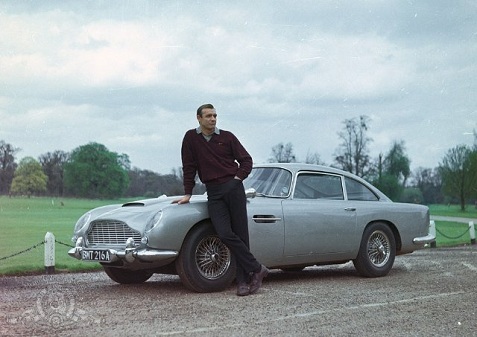 The most iconic James Bond car, the Aston Martin DB5, first appeared back in 1964 in “Goldfinger.” In his look back at the film, Bob Westal discussed the car and all the gadgets. The car was, of course, a huge hit with audiences and played no small part in the enormous commercial success of the James Bond series throughout the 1960s. Corgi’s model of the Q branch Aston Martin DB5 became the most successful toy of 1964 and one of the most iconic merchandizing opportunities of all time. (It was also maybe the first toy to be aimed at children from a movie containing material thought inappropriate for kids.) The Corgi DB5 was a key part of a worldwide merchandising bonanza that would prefigure films like 1977′s “Star Wars,” financed largely on the back of its built-in merchandising possibilities. David Worrell’s out-of-print 1993 book about the DB5 was aptly entitled The Most Famous Car in the World. Business Insider recently did a post about the history of the Aston Martin DB5 in the Bond films, explaining how it started and then how it’s appeared in other Bond films. 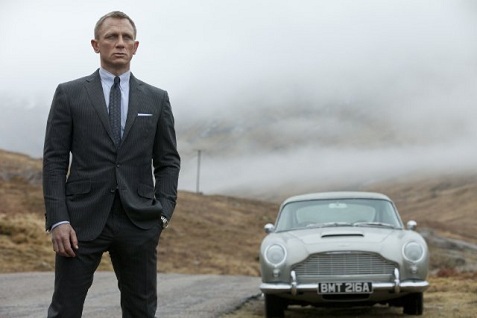 “Skyfall” is out in the US next week, and the Daniel Craig version of 007 enjoys the same vehicle in the latest film. Here’s a photo, and you can compare it to the Sean Connery photo above. Today, Dashboard brings you a video from Evo magazine. For three minutes, you can imagine yourself free from traffic, inattentive drivers, and worries on one of the world’s best driving roads in some of the world’s best cars. Sir, Your Audi R8 GT has arrived….